Veterinary students and researchers stage a mock whale rescue exercise at the Atlantic Veterinary College in Charlottetown, P.E.I. 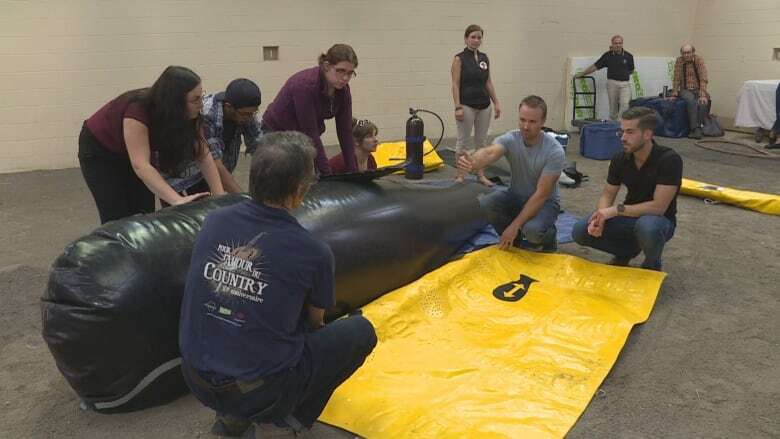 An inflated whale along with an inflated dolphin were stranded on an imaginary beach in the middle of the Atlantic Veterinary College in Charlottetown Saturday. The scene was part of a workshop presented by the Marine Animal Response Society (MARS), and hosted by the Sir James Dunn Animal Welfare Centre. 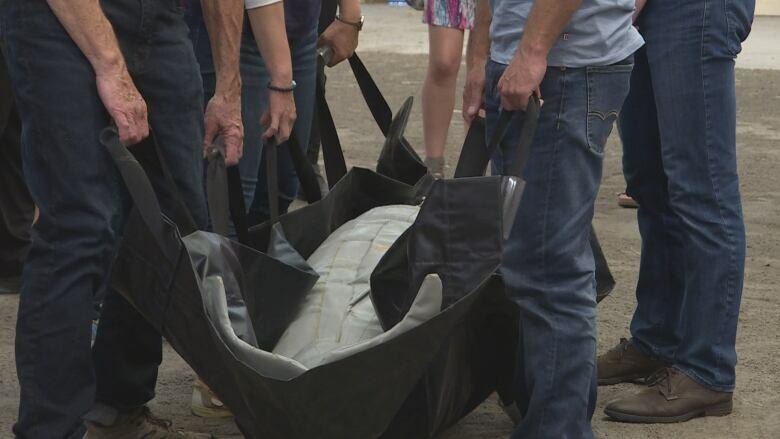 It was designed to teach veterinary students and researchers how to rescue beached marine mammals, while keeping the animals and themselves safe. The event simulates the type of training the organization's volunteers go through before responding to a real whale stranding, said MARS executive director, Tonya Wimmer. "We often will need to have other people who can help us be able to respond, not only with the best interest of the animal in mind but especially with human safety," Wimmer said. "It's no different from any other emergency preparedness. We want people to know what they should do and especially what they shouldn't do … before they actually get into a situation dealing with an animal directly." The mock whale and dolphin are filled with air and water, to simulate the weight and feel of real animals. During the exercise, participants learn how to safely transfer them from the beach to the ocean using inflatable pontoons and stretchers. "The actual pontoons that we brought are the same ones we used two weeks ago to save a pilot whale," Wimmer said. The workshop was part of the AVC's 2018 Animal Welfare in Practice conference, where participants also got to sit in on discussions about responding to accidental entanglements and ways human activity affects marine life. 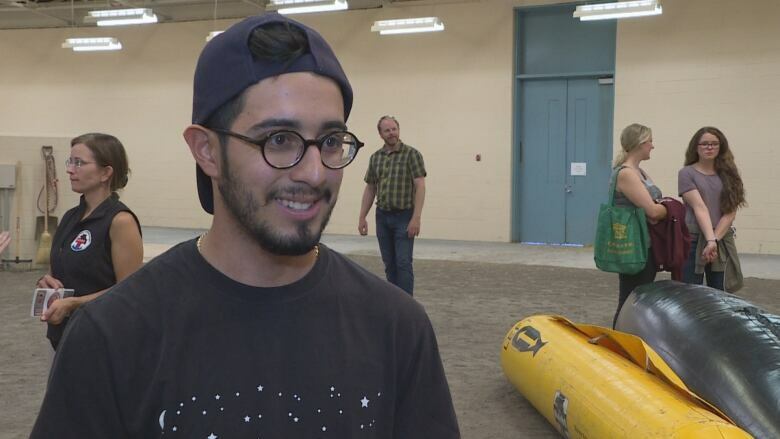 Andrew Cohen, a first-year vet student at the AVC, said taking part in the conference opened his eyes to how complex responding to a beached whale can be and inspired him pursue further training. 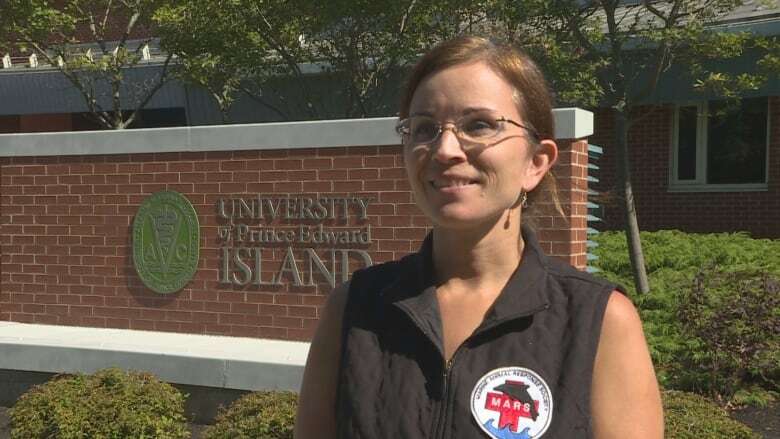 "To know that there's something that I can do as a student, even if it's just something local on P.E.I. that I can go out and be an extra set of hands even if it's dumping water or taking care of the towels," Cohen said. "It's huge to me to have animal welfare always in the forefront." Wimmer said anyone interested in becoming a volunteer can contact MARS to complete the training.